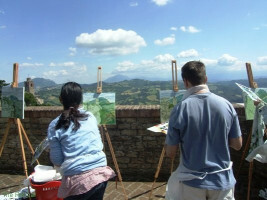 Why Le Marche Art Retreat? So you love art and love travel? Well how about combining the two into a holiday experience like no other? “The Retreat” is a devastatingly charming guesthouse in the heart of the Italian countryside. And inside it, a large studio space for you to get all artistic in. 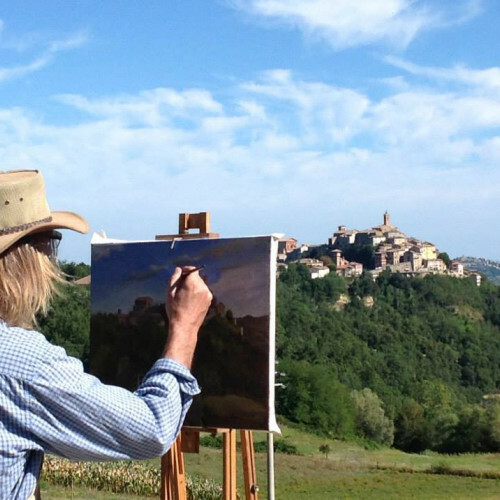 Come for one of the painting courses and art workshops where you’ll be treated to beautiful accommodation, delicious meals, professional art tuition, and excursions to rustic Italian scenes so picturesque you’ll want to paint them from every angle. What Makes Le Marche Special? Maybe you’re the next van Gogh. Maybe you draw about as well as a hyperactive preschool kid who’s been left alone with a pack of crayons and a freshly-white living room wall. Your skill level is irrelevant when you have expert guidance, all the materials you need, and more inspiration than you’ll know what to do with. 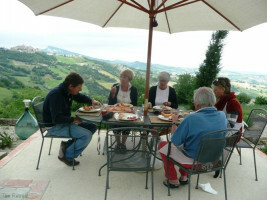 One of the best things about The Retreat is that you’ll see a different part of Italy that tourists usually miss. From charming hilltop villages to sweeping countryside, this trip is the perfect combination of cultural exploration, relaxation, and unbridled creativity. So go on and book now. And be sure to leave some space free — you’ll be coming back with a head full of beautiful memories and a suitcase full of art!